This is a report on the decision in BPE Solicitors and another v Hughes-Holland  UKSC 21. In a decision sure to be welcome amongst legal professionals, the Supreme Court of the United Kingdom has recently held in BPE Solicitors and another v Hughes-Holland  UKSC 21 (“BPE Solicitors”) that a firm of solicitors is not liable to its client for losses arising from the client’s own commercial misjudgment. In doing so, the Supreme Court essentially confirms the (up to now untested) principle in South Australia Asset Management Corporation v York Montague Ltd  AC 191 (“SAAMCO”), which sets out the framework for professional advisors’ liability in negligence claims. 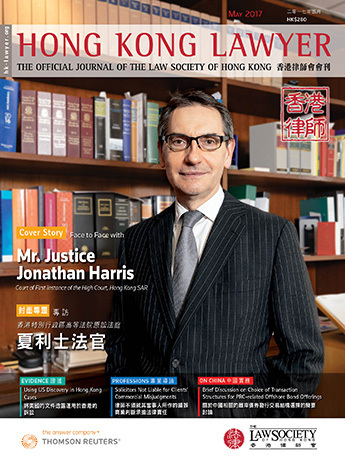 This article will discuss the decision in BPE Solicitors and its relevance to Hong Kong. The facts of BPE Solicitors are as follows: Mr. Gabriel loaned £200,000 to Mr. Little, who said he would be using the loan to redevelop an old, run-down disused heating tower in an “unattractive location for developers” in Gloucestershire. However, it was shown that Mr. Little intended to use Mr.Gabriel’s funds to acquire the property (by paying off a mortgage from a bank). Mr. Gabriel knew nothing of those plans, and gave the loan without first getting a valuation of the property. His legal representatives, BPE Solicitors (“BPE”), were not instructed to undertake the usual searches against the property at the Land Registry. An assistant solicitor at BPE, Mr. Spencer, drafted the facility letter and the charge documents over the building. However, over the course of work, Mr. Spencer received a call from Mr. Little informing him that the loan from Mr. Gabriel would go towards acquiring the building. Mr. Spencer did not clarify or confirm this information with Mr. Gabriel and used a template from another aborted transaction (which stated that loan monies would be used to assist with development costs) and unintentionally confirmed Mr. Gabriel’s incorrect understanding of Mr. Little’s actual plans. Ultimately, the transaction failed and Mr.Gabriel was unable to recover his loaned monies. He then sued BPE for dishonest assistance in a breach of implied trust and for professional negligence. What did the Courts below say? At first instance, the judge held that Mr. Gabriel had been misled about the loan and its purpose, and therefore was entitled to damages representing the entire loss. The Court of Appeal allowed BPE’s appeal that Mr. Gabriel’s loss in relation to the loan fell outside the scope of BPE’s duties, and held that the whole loss was attributable to Mr. Gabriel’s misjudgment, reducing damages to nil. Mr. Gabriel, by this time acting through his trustee in bankruptcy, appealed to the Supreme Court. His appeal was dismissed. The Supreme Court essentially confirmed and reinforced the landmark decision of the House of Lords in SAAMCO: that a person under a duty to advise as to what course of action to take would be liable for all the foreseeable consequences of that action taken only if (1) the advice was relied on and (2) the advice was negligent, but this is different from a person who was under a duty to provide information for the purpose of enabling someone to decide on a course of action, in which case they would be liable for the consequences of the information being wrong and not all the consequences of the reliance (this is commonly known as the “SAAMCO Principle”). Lord Sumption’s judgment, which the Supreme Court agreed with unanimously, made the following key observations. First, there is a clear distinction in the SAAMCO Principle between an “advice” case and an “information” case. An “advice” case is where the professional is responsible for guiding the whole decision-making process and is responsible for the ultimate decision itself. The professional will be liable for all the foreseeable consequences of a transaction entered into upon their negligent advice. Meanwhile, an “information” case is one where the professional contributes a limited part of the material on which his client will rely when making a decision, but the overall assessment of the commercial merits of the transaction rests with the client. The professional will be liable only for the financial consequences of the information which he provided, even if the information was critical to the decision of whether to enter into a transaction. The reason behind this is because professionals cannot ultimately “become the underwriter of the financial fortunes of the whole transaction by virtue of having assumed a duty of care in relation to just one element of someone else’s decision”. BPE, on the facts, was acting in an “information” case scenario. Second, there was no basis for assessing Mr. Gabriel’s damages dependent on the gravity of the particular breach. Rather, the decision should be based on the scope of the defendant’s duty and whether the alleged wrongful course of action is outside that scope – this is for the claimant (ie, Mr. Gabriel) to show and he has not done so. Third, on the evidence, Mr. Gabriel would not have recovered any more than had the loan been applied to develop the property. Experienced surveyors had advised that development costs would likely range from £400,000–£600,000, which is at least double or triple the original loan. The value of the property would not have been, and could not be, enhanced by the expenditure of the loan on its redevelopment. Lord Sumption further observed that any damages contemplated under the SAAMCO Principle is the difference between the valuation and true value, on the grounds that the recoverable loss could not exceed what the lender would have lost if the valuation had been correct (commonly referred to as the “SAAMCO cap”), which is essentially the distinction between (1) loss flowing from the fact that as a result of the defendant’s negligence, the information was wrong and (2) loss flowing from the decision to enter into the transaction at all. The Supreme Court said it was clear that BPE did not assume the responsibility for Mr. Gabriel’s ultimate decision to make the loan to Mr. Little. BPE was expressly instructed to draw up the supporting documentation, and nothing more. Mr. Spencer did not know and did not need to know what had passed between Mr. Gabriel and Mr. Little, save that they had agreed upon a loan of £200,000 secured by a charge on the tower in Gloucestershire. Mr. Spencer knew nothing about the nature of the proposed redevelopment, its cost, the financial capacity of Mr. Little to fund redevelopment without the loan, or the value of the property in its developed / redeveloped state. By an “unhappy chance”, the facility agreement contained language confirming Mr. Gabriel’s impression that the loan was to go towards redevelopment. But even if Mr. Gabriel’s assumption had been right, he would still have lost his money because the expenditure of £200,000 would not have enhanced the value of the property. None of the loss he suffered was within BPE’s scope of duty, which was confined to preparing the facility agreement and charge. Mr. Gabriel’s loss arose from his personal commercial misjudgment, which were of no concern to BPE. There are only a handful of cases where the SAAMCO Principle has been considered in Hong Kong. 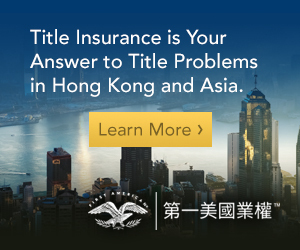 The most recent case was about 10 years ago in Cheung Wei Man & Anor v Centaline Property Agency Ltd  HKEC 1824, where the Court of First Instance heard an action brought by the victims of an abortive conveyancing transaction against their real estate agents. 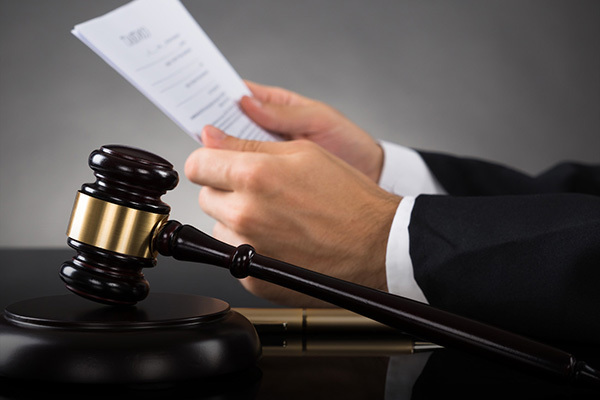 In that case, the Court considered the SAAMCO Principle to be applicable in the context of negligence only and dismissed its relevance to the case. 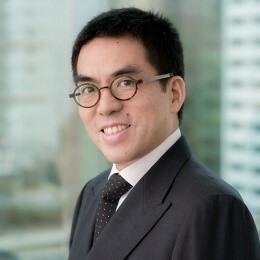 However, in 2004, Reyes J (as he then was) applied the SAAMCO Principle extensively in Industrial and Commercial Bank of China (Asia) v BC Chow & Co  HKEC 105 (“ICBC (Asia)”). 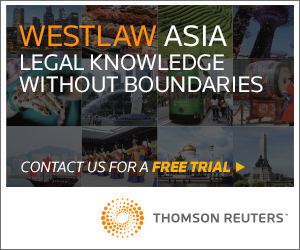 He concluded that the spirit of the SAAMCO Principle (ie, if a loss suffered is within the scope of the solicitor’s duty and is properly recoverable, then that loss is recoverable) applies in a negligent “advice” type scenario in Hong Kong. As at the date of writing, ICBC (Asia) remains good law and has not been appealed nor overturned. It would seem then, that despite not being applied in Hong Kong recently, the SAAMCO Principle holds true in Hong Kong and, as the decision of the Supreme Court shows, continues to hold true in the United Kingdom as well. Whether there will be any further clarifications to the SAAMCO Principle will depend on whether another case in a similar factual matrix reaches the Supreme Court, or even the Hong Kong appellate Courts; albeit the likelihood of this happening is low in the near future. Not your ordinary litigator, Mark Lin has mastered the art of asking the right questions to find the right solutions. One of the first questions he asks is: ‘what do you want to get out of this dispute?’, rather than ‘will this go to the Court of Final Appeal?’ Lin has been using this solution-driven approach to help local and multi-national business clients, particularly those in financial services and the multi-media sectors, since the 1990s. 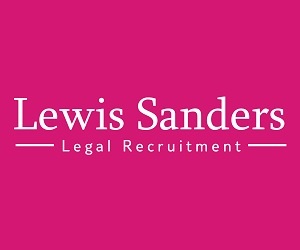 He is recognised as a leader in commercial dispute resolution and contentious regulatory investigations in established legal directories, by clients and by peers. Ms. Tsui is a newly-qualified associate in the commercial litigation team at Hogan Lovells. She graduated from the Bachelor of Laws and PCLL program at the Chinese University of Hong Kong with distinction, and went on to obtain a Master of Law degree from the University of Cambridge, Newnham College. Her current practice includes insolvency litigation, various advisory work for major financial institutions, employment and other general commercial litigation.